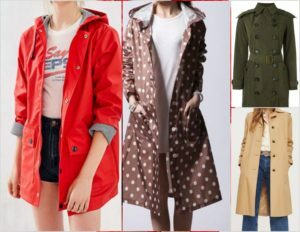 The first and most important staple that comes to rescue this season is a raincoat. These are widely available in a variety of colors and patterns to make you look trendy. One might think the old-school transparent plastic raincoats ruins the whole outlook, in that case, trench coats are the ultimate savior. 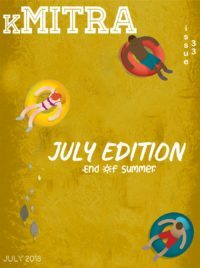 Although summer monsoons wouldn’t call for it, they are so high in fashion and give a fancy look to any kind of clothing- from denim to dress. 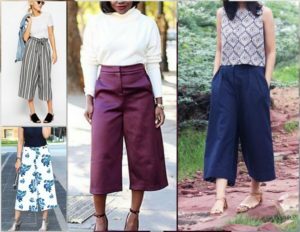 To evade dawdling and puddling in roads, culottes are your best bet! Now, they might seem a little intimidating as you don’t see people often wearing them but this shouldn’t stop you. It is easy to achieve all kinds of looks, from professional to casual, with culottes. For a sunny afternoon, you can sport a casual yet chic look by pairing a graphic tee with plain culottes. For cooler days, you can pair them with a turtleneck top and boots. Now coming to the printed culottes, these make a big statement on their own. Keep the rest of your look simple with a solid plain tee and slip-on sneakers and there is your OOTD! It’s time to take out all your bright and bold tops you couldn’t wear in your summer. Beat the grey and dull weather with bright shades of blue, pink and green. 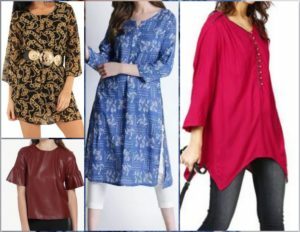 Pick a tunic which is easy to style with a pair of palazzos, a skirt or a pair of leggings. If the weather is fickle, you can also wear it like a dress and belt it. Try synthetic tops that may not escape rain but are quick to dry and keep you stylish. 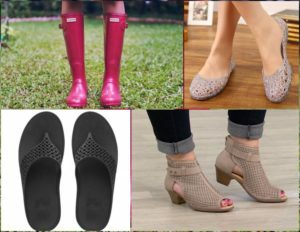 Put away all your leather and cloth shoes and include waterproof footwear in your wardrobe to survive these rains. Invest in a quality pair of boots that will guard your feet throughout this monsoon. You can add a pop of color to your outfit with vibrant rain boots or perforated peep-toes. Pick jelly flats and add that dash to the play. Rubber Toe Post flip-flops would be ideal for a minimal look. 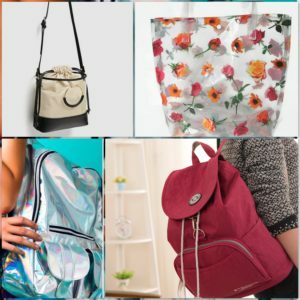 Buy a waterproof bag/backpack that holds all your essentials and goes with all your outfits. Turn heads with eye-catching vinyl bags in bright colors and cool prints. Keep an anti-frizz hairspray handy to maintain the frizziness. Carry waterproof covers along to store all your important stuff like mobile, cards. Nobody should step out without an umbrella, pick a 3-fold one that easily fits in your bag. 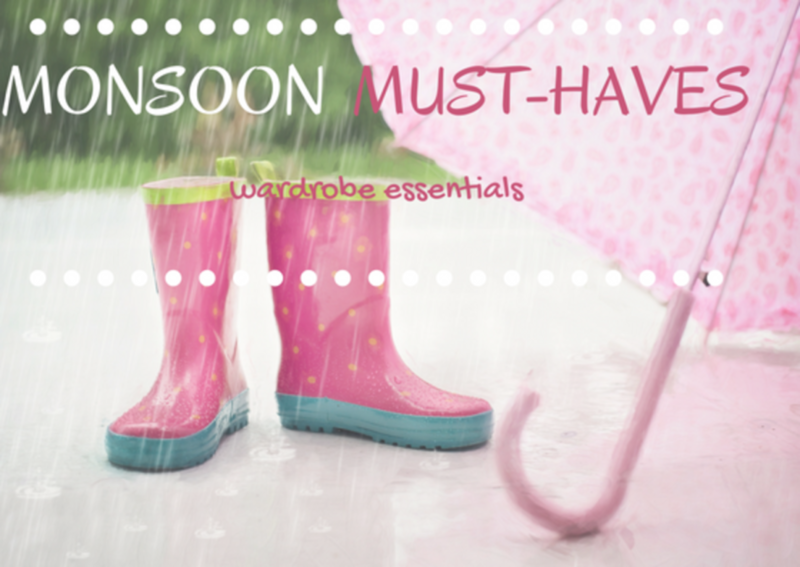 The right combination of accessories makes the monsoon attire all the more appealing. This monsoon, go quirky with plastic jewellery like feather hangings, bangles and bracelets in bright colors that complement your look. 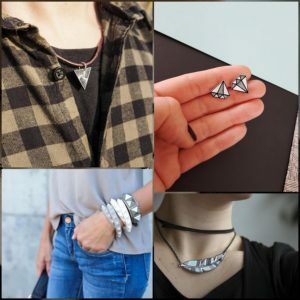 If you’re done reading, it’s time to go shopping! Let’s get all prep for this rainy season!